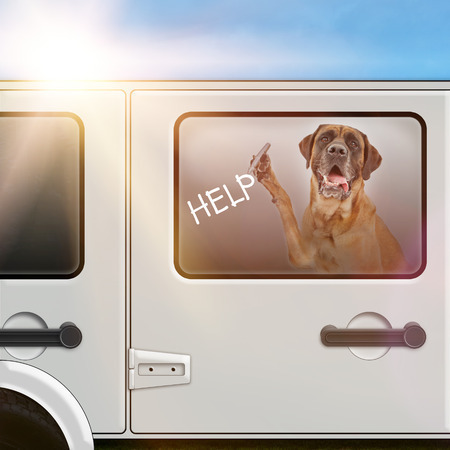 We’ve all seen the tragic cases of children and pets losing their lives while locked in a hot vehicle. Unfortunately, many people simply don’t realize just how deadly the inside of a vehicle can be during the summer. Even on a 70˚ day, the temperature inside your car can reach 104˚ in as little as 30 minutes. When the outside temperature soars to 95˚, the inside temperature of your car will reach nearly 130˚ in just a half hour. gust of wind is responsible for your car being locked with a child, pet or disabled person inside. No matter what the situation, a lockout during the summer is an emergency when anyone is inside the vehicle. The temperature inside a locked car begins to rise immediately and can reach dangerous levels in a matter of minutes, so prompt action is crucial. If you’re experiencing an emergency lockout, here’s what to do. Call 911. When a child, pet or any other individual is locked inside a vehicle on a hot, sunny day, call emergency services right away. Contact Colorado Security Products, your Denver emergency locksmith. First responders will contact a local emergency locksmith on your behalf, but it never hurts to give us a call directly. Wait for assistance. First responders or an emergency locksmith should be on the scene within minutes. At Colorado Security Products, we have locksmiths on call 24 hours a day, 7 days a week, and we strive to provide the fastest emergency response in the Denver area. When a loved one is locked inside a hot vehicle, every second counts. After you call 911, call Colorado Security Products. As your Denver emergency locksmith, we will get you back in your vehicle as quickly as possible. When you need a Denver emergency locksmith that you can trust when time is of the essence, call Colorado Security Products at 303-756-1000.